The M-80 is a two seat, mid-engine sports car produced to compete with the world’s top sports cars. The fuel efficient and environmentally friendly hybrid gas-electric engine makes it unique among the world’s top sports cars. 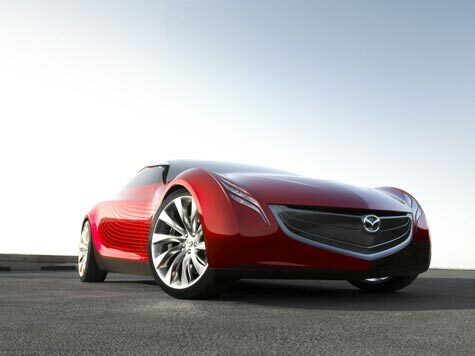 Mazda’s Emotions of Motion: Will Billy Squier Sue? In the Mazda Ryuga, the latest example of the Japanese automaker’s “emotions of motion” design language, when twilight comes you’re a runner in the night, we wouldn’t be surprise if it turns you on like a hot taillight. You’re into the action–it’s a part of your dream Now there’re some things you never can tell. But when the door lies open throw your coins in the well. Not that we actually know how many coins you’d have to toss to actually roll home in this sucker. TUCKAHOE, N.Y. ? Ai Design won’t say who they are, but apparently celebrities are going nuts for the company’s Mobile Living Space, what the tuner describes as “the ultimate personalized expression of a chauffeur-driven vehicle.